Home / Auto Mechanic / How Long Does It Take to Become a Mechanic? 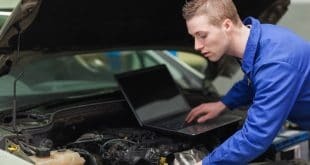 You may obtain an auto mechanic’s diploma in approximately one and a half years, with a focused training in the aspects that actually make a difference. With training as a mechanic, you will acquire a solid knowledge of mechanics and electricity. You will be able to diagnose breakdowns on cars of all types, of all brands. You will then be able to carry out the necessary repairs, to make the tests and to finalize. With training as a mechanic, you will learn maintenance, repairman’s obligations, fuels, engine, electricity, the tools required, hybrid vehicles, lubrication, active and passive safety, electrical equipment, sheet metal work and welding, connections, ignitions, recooling, repair, industrial design, environmental protection and air conditioning. They are obtained in approximately one and one-half years and make it possible to carry out complex diagnostics and repairs and are also a good entry point into the profession. The auto mechanic’s diploma provides the skills required to practice the profession of an automotive mechanic. After 18 months of training, the mechanics are able to carry out a diagnosis and carry out the main manipulations related to the repair of the vehicle. 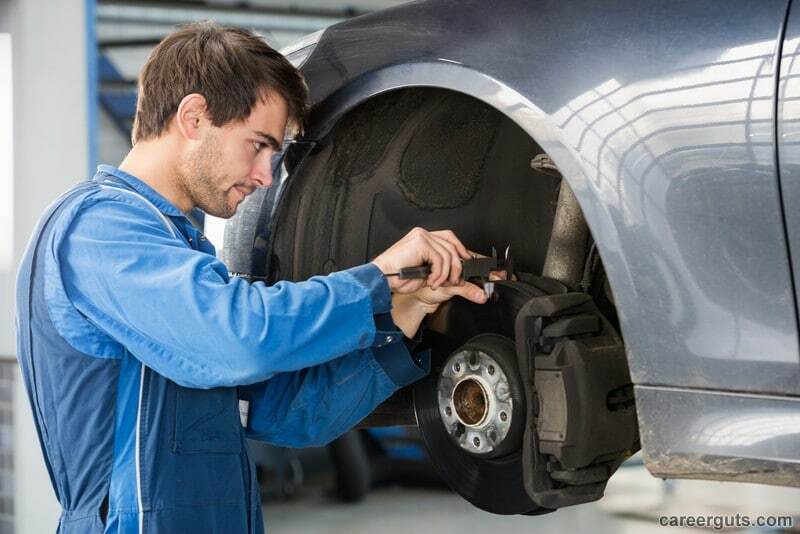 The diploma trains the mechanic to have precise knowledge of the maintenance and repair processes of a vehicle, as well as knowledge of management of a workshop or how to provide advice and assistance to a customer. The automotive mechanic must additionally have precise knowledge of traditional mechanics, in particular in the field of electricity, mechanics and pneumatics. The latest technological advances mean that mechanics have to acquire solid knowledge of electronics as well as adapt to the new diagnostic tools designed to understand technical progress. In addition, there is obviously an overall understanding of the functioning of a motor vehicle. Finally, this craft requires an excellent physical form, the employee being often forced to work in uncomfortable positions. To this good physical condition is added a spirit of analysis, a strong sense of responsibility and a great capacity of deduction: an error of carelessness during the treatment can – directly or indirectly – cause future dysfunctions, and possible accidents. Contrary to traditional practice, this job is no longer limited to a general exercise of mechanics. The automotive mechanic had to evolve his expertise and specialize his skills and train on the dazzling changes that have marked the automobile industry in recent decades. The role of the automobile mechanic is to locate and repair a breakdown in a vehicle of various kinds, such as an industrial vehicle or a public transport vehicle. In addition, the automotive technician will provide outstanding relational qualities and a sense of service, enabling him to grasp and anticipate customer expectations. Availability is also an indispensable quality to fulfill this function, more than any time when new services such as 24-hour assistance are all the rage in the market. It is generally preferable for the proper operation of a garage to have mechanics available at any time of day – or night. An error on his part could result in a serious accident. The mechanic must be skilled and precise in his gestures. The mechanic must also be thoughtful and perspicacious to quickly detect the origins of a breakdown. The mechanic knows how to adapt to the diversity of vehicles and technological developments. This quality is all the more important as not all garages have the same types of tools. The mechanic must have a good physical constitution to withstand uncomfortable positions. To do this, a series of devices for carrying out the technical tests are available. The automobile mechanic carries out maintenance and repair of motor vehicles. When the problem is serious, a quote must be prepared and submitted to the customer. Once the fault has been detected, the automotive technician is responsible for replacing or repairing the damaged appliances. He is called upon to diagnose a motor vehicle after a problem has been detected by his owner and to determine the cause of the fault. Moreover, this job is not limited to mechanical work: a significant part of the time of the mechanic is devoted to the accompaniment of the customer, throughout the process of repair. The repair of defective equipment often requires the mechanic to search for the required parts more or less at length before having them delivered to his workshop. Finally, the mechanic carries out the road tests which constitute the last step in the diagnosis of the vehicle, thus making it possible to carry out the last technical adjustments and adjustments. The automobile mechanic can also be approached when selling vehicles (new or used). He then has the role of inspecting the correct installation and operation of the devices, prior to the sale of the car. It may also be necessary to move in the troubleshooting frame and thus work at the scene of accidents. Previous Auto Mechanic Training: What Kind of Training is Required to Become a Mechanic? Next Wills vs. Trusts — Which One Is Apt For Your Estate Plan?